Old school classic in miniature way! 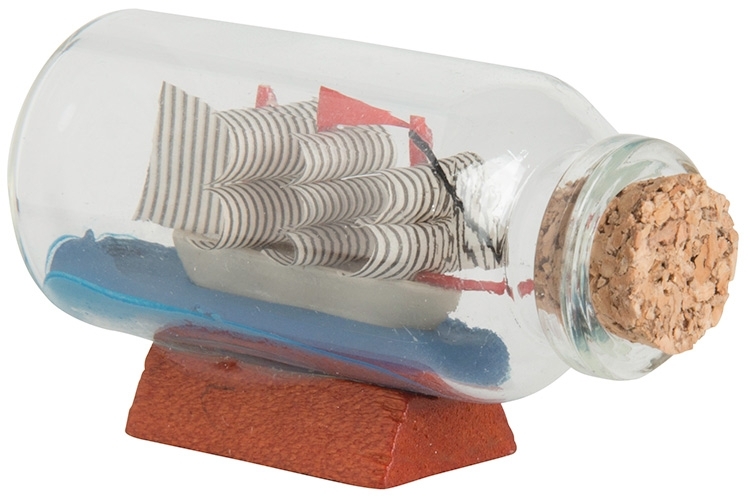 This tiny Ship in a bottle brings a touch class to your promo. Ideal for any boating or shipping industry, or educational promos. Also available in a larger size, see #24487. Products are not intended for use by children or pets. They may present a choking hazard to children under 3 years of age.